Announcement : Retro Planet #3 - STILL HOT! We were a little late on this announcement this time, we were killer busy, producing, printing and sending copies everywhere.... Well better late that never they say! Retro Planet #3 - March 2014 is STILL OUT THERE! 52 full color pages full of Amiga & Retro stuff! 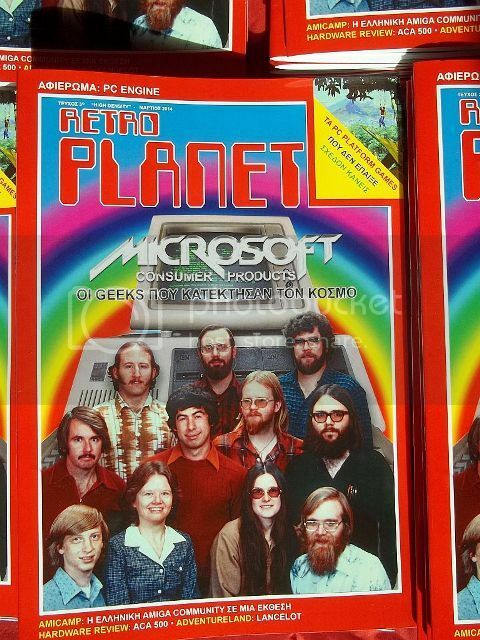 * A special article about the history of Microsoft. The first ten years of the geeks that rule the computer world. Yes it all started on the minds of two students without a personal computer at home. * First official hardware review on the Greek press for the new ACA 500. * A report of the first Greek Amicamp, the official Greek Amiga exhibition. * A PC ENGINE special article. * The PC platform games we never played. Why???? * Battle Squadron remake, the review. The magazine is focused on Amiga of course, but it includes topics about other computers and consoles as well. The magazine comes out every three months -four issues a year-. For those of you who are interested to grab a copy -for the case you speak Greek or you are a magazine collector or you want to support us (thanks! 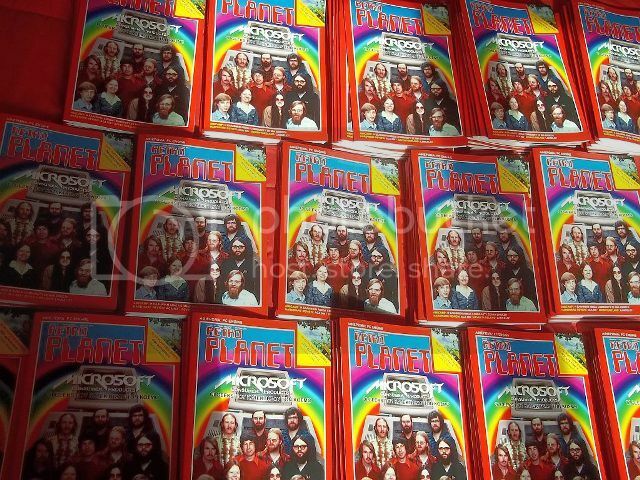 ), you can visit http://www.retroplanet.gr or send your order @ amigaplanetgrrece AT gmail DOT com. We accept PayPal and we ship worldwide. Just send us an email with the number of copies you want and your full details -name, address, city, postal code and country- and we get back to you asap with the final cost! We would like to thank EVERYONE who have supported the magazine so far in any possible way! Re: Retro Planet #3 - STILL HOT! I see a thread was started here after this news item was posted.